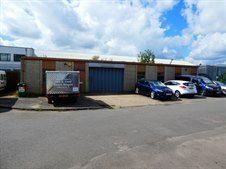 Cattaneo Commercial have jut concluded the letting of Unit 11, North Weylands Industrial Estate, Hersham, Surrey KT12 3PL. This single storey unit comprises a detached workshop of 2,550 sq ft with forecourt parking and a small gated yard. The unit was acquired by a joinery business.